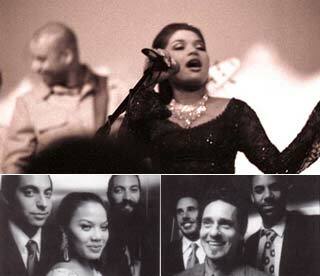 Dengue Fever is a six piece band featuring the Cambodian goddess Chhom Nimol. Formerly a Cambodian popstar who performed regularly for the King and Queen of her home country, she now lives in little Phnom Penh, Long Beach. Her closet is filled with formal gowns of all colors which she slips into on performance nights. Her arms flowing like dancing cobras are just one part of her many traditional Khmer dance moves. Hearing her voice and the songs sung in her native tongue captivates and mesmerizes the crowd. The music has often been described as late sixties Ethiopian jazz mixed with Cambodian psychedelic. The instrumentation consists of saxophonist David Ralicke (Beck), guitarist Zac Holtzman (Dieselhed), bassist Senon Williams (Radar Brothers), farfisa organist Ethan Holtzman, and drummer Paul Smith. Recently, the song “Ethanopium” (from WoM 012) was used as the soundtrack for the Jim Jarmusch film Broken Flowers which took the Grand Prix at the 2005 Cannes Film Festival. That Cambodia Rocks CD tapped into a serious jones for Vietnam War-era Cambodian psychedelic surf/garage rock. Given the dodgy availability of such releases, there are reasons aplenty to hail the arrival of Dengue Fever-- in vivid, stark, hallucinatory reality, an actual, real live band. Fronted by amazing vocalist Chhom Nimol, Dengue Fever has surprisingly universal appeal. Chhom herself is already quite accustomed to seizing the hearts of listeners (including the King and Queen of Cambodia), as she comes from a family best considered as a Cambodia pop music dynasty-- not unlike a Cambodian version of the Jacksons. The rest of the band is no flake-fest either, consisting of Zac Holtzman (Dieselhed) and his brother Ethan on Farfisa organ, Seenon Williams (Radar Brothers), David Ralicke (Beck) and seasoned drummer/engineer Paul Smith. Their covers stay remarkably true to the crazy party music spirit of the ’60s- and ’70s-era originals. But there are also original songs, some of which veer off into the darkened corridors of lost love and ghostly noir romanticism, dissolving sometimes into spaces of genuine bleakness and tragedy — all in the Khmer tongue. 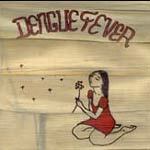 Far from mere novelty or cheap Orientophile thrill, Dengue Fever keeps listeners on their toes, dancing to their way-out tones.